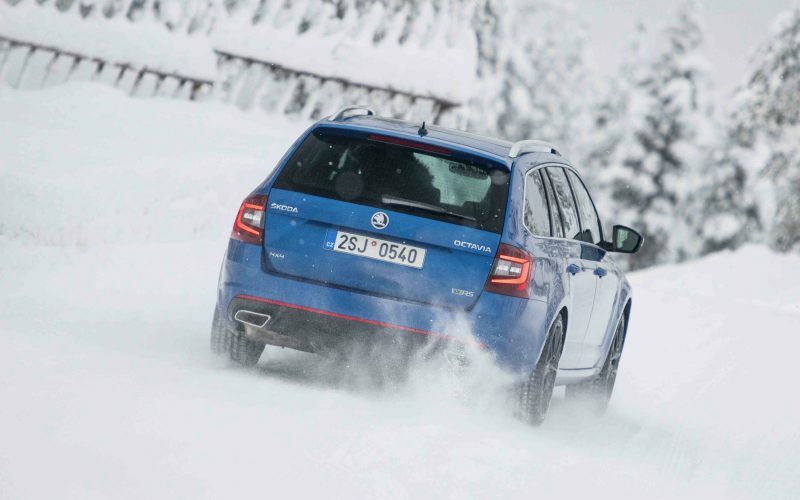 No need to worry about the pitfalls of winter driving with 4×4 ŠKODAs. On the contrary, tackling snow-covered roads can be a lot of fun when you’re at the wheel. Intelligent all-wheel drive in ŠKODAs can help drivers in a host of routine situations – when they set off, it guarantees that all power is concentrated on the road surface, in turns it ensures the perfect traction of all wheels, and if you need to drive across a muddy field you can be sure that, unlike a single-axle drive, it will definitely power you through to the other side. You’ll be most glad of all-wheel drive come the winter, when the roads are covered in snow and ice and the wheels begin to slip. For many drivers, this is an ordeal they’d rather not face. 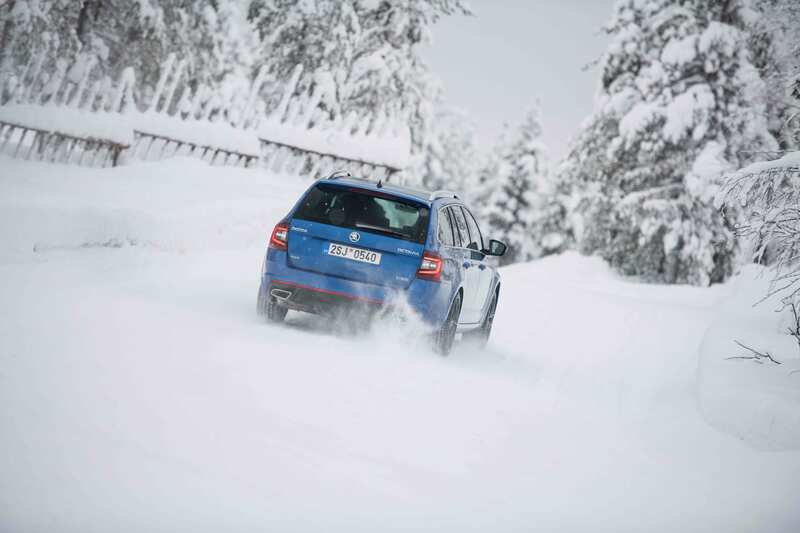 With all-wheel drive, though, you may even find yourself relishing a drive in these conditions. Hans-Joachim Stuck, the multiple winner of endurance races at Le Mans and the Nürburgring and a former Formula 1 driver, has shared his driving tips and tricks with ŠKODA Storyboard. 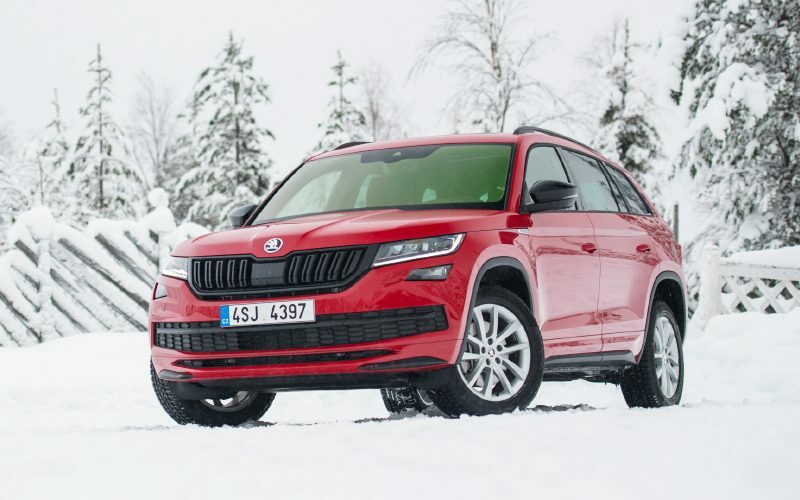 See what advice you can glean from this exceptionally experienced driver, well-known all-wheel drive advocate, and owner of a ŠKODA KAROQ. 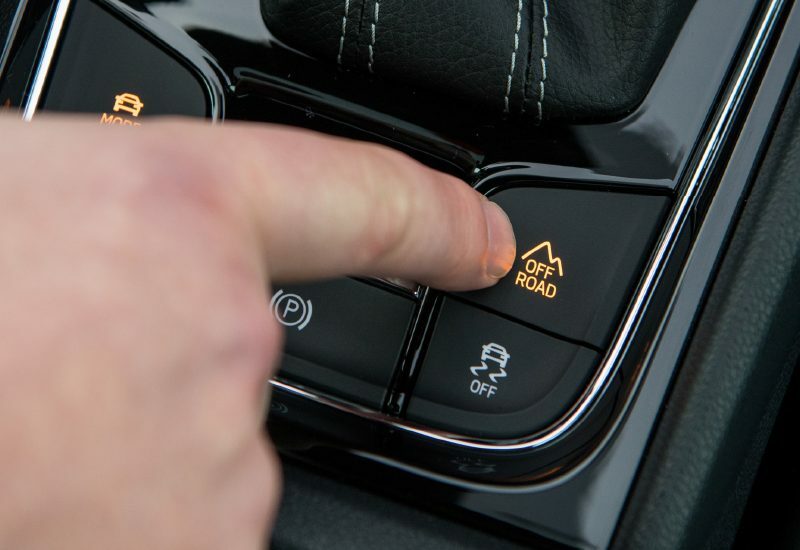 Of course, the throng of electronic stability systems, combined with the Snow driving mode, have got your back and will help to keep the car under control even in fraught situations. On the other hand, if you switch to a sportier mode for wheel spins and bigger skids, you’ll find gliding and watching snow fly in all directions a lot of fun. 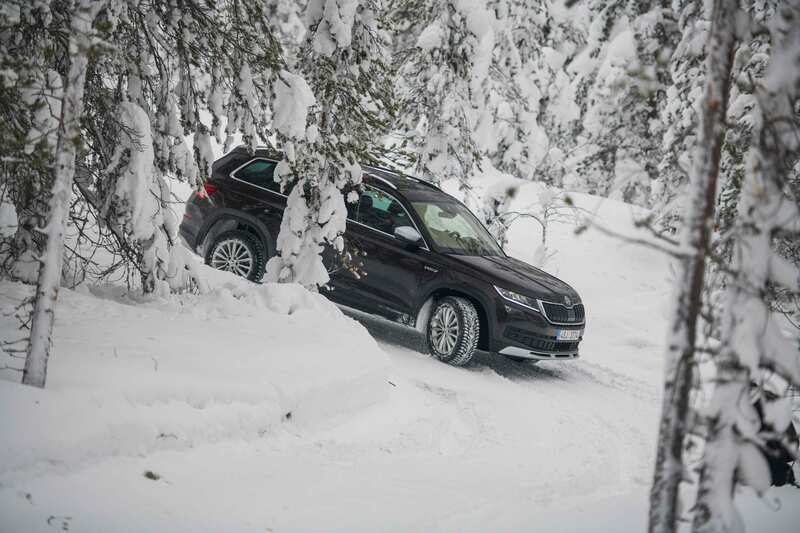 Needless to say, 4×4 drive ŠKODAs are not afraid of off-road terrain, even when it’s covered in snow. As with on-road driving, when you’re off-road, fluidity, correctly gauging your speed and sensitive handling are essential. The wheels need to be in constant rotation because if they lock or spin you won’t be able to actively control the car. 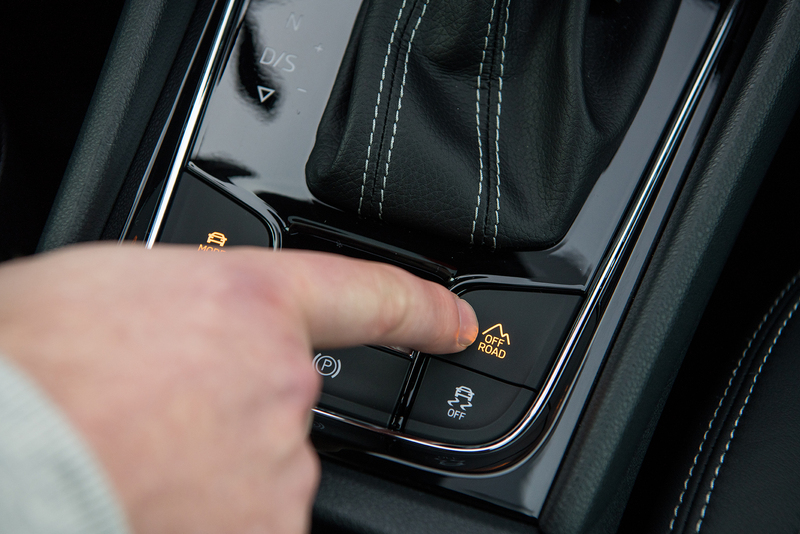 Turning on the Off-road driving mode can be a great help as it allows the car to overcome obstacles that would otherwise be insurmountable. And if you’re unsure what exactly is lying in wait for you ahead, don’t hesitate to get out of the car and walk some of the route on foot – this is still easier than having to shovel your car out if it gets stuck. 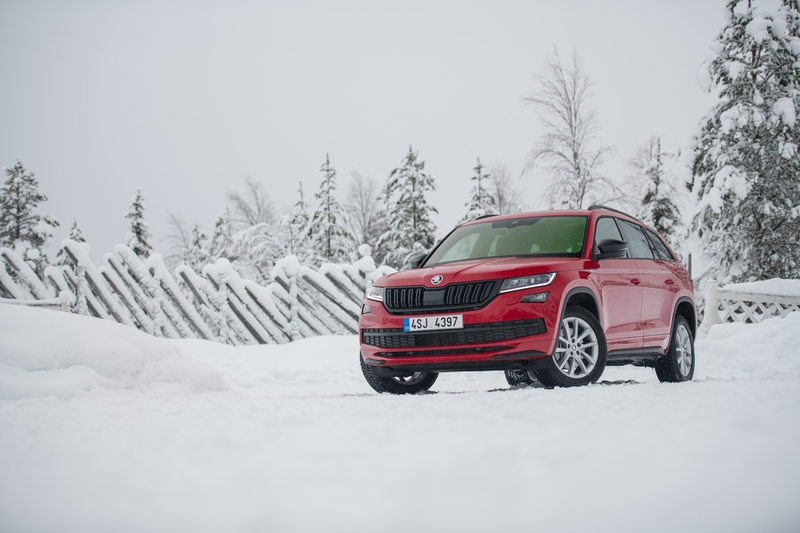 “If you know what your car is capable of and what its limits are, you’ll be able to enjoy your 4×4 ŠKODA to the full,” explains Stuck. 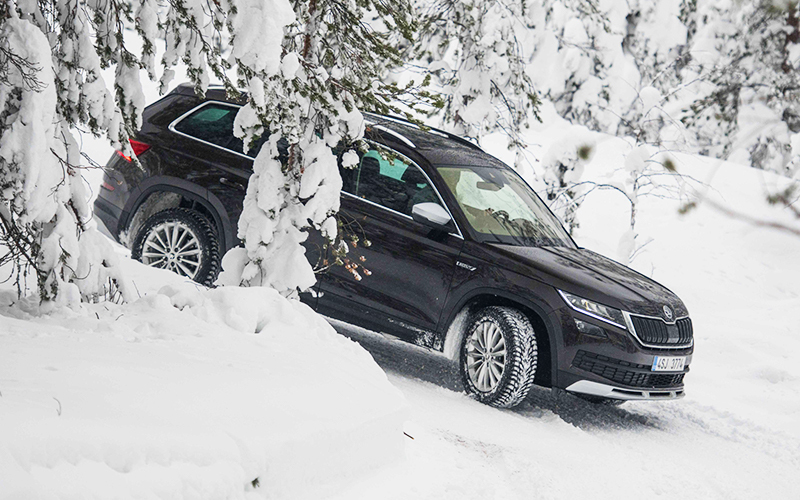 So exercise caution and experience the joys of winter at the wheel of a 4×4 ŠKODA!